Burning cars for insurance claims, hiding crimes etc are very much common but setting cars on fire for New Year celebration is only seen in France. Yes, it is true that people in France had made a tradition from 1990 of burning cars on New Year’ Eve. This is strongly followed in the suburbs of France but strangely this is not a party of the celebration in the capital city Paris. Though it is being carried on since 1990, no figures were officially declared till 2009. In 2009, Interior Minister of France Manuel Valls said, 1,147 vehicles were burnt on New Year’s Eve. This numbers have continued to be consistent till date. 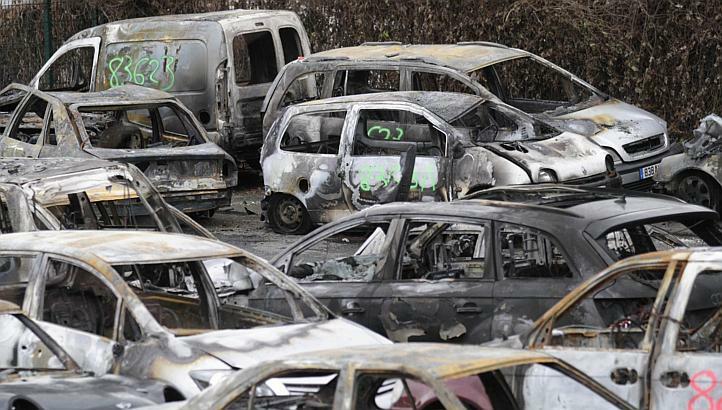 In 2012, 1,193 cars were torched for the New Year celebration, said an official of the French Government. French government fears that releasing numbers will encourage more youths to indulge in this activity. They also believe that disclosing numbers is one of their own mistakes. The French not only blow up cars for New Year Celebration but they also do it to mark their protest at certain times. It is said that in 2005, youths electrocuted 8,810 cars (as per Police figures) to mark their protest against some of the Government policies. It is also said that gangs of different areas compete against each other to blow up most of the cars and the winner enjoys Fame on Facebook and other social websites. No official statement released by Government regarding the loss of property. This year, cars were seen burning till Tuesday afternoon. We can say that it is very unusual to see French blowing up cars for New Year’s Celebration, while we raise a toast of French Wine for the same.